Forex market conditions have been pretty fickle these days so it’s important to learn how to adapt. However, this doesn’t mean abandoning your old forex trading plans altogether. Make sure you take a closer look at the reasons why you’re thinking trying a new approach, and if it’s one of the four factors listed below, you should probably take a step back. Let’s face it – even though the forex market never sleeps, we’re not guaranteed 24 hours of action a day. There are times when there’s little to no activity on the charts, and it can be quite boring waiting for a valid setup to materialize. 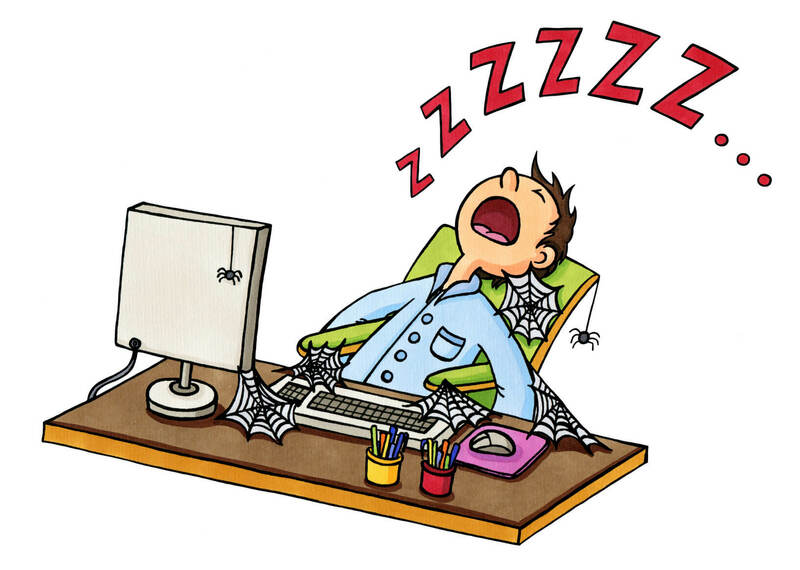 Unfortunately, some traders react to boredom by FORCING a trade just to get a bit of excitement. They deviate from their plan and take trades that they normally wouldn’t trade under normal market conditions. Not surprisingly, trades caused by impatience are executed with impulsiveness and can result in bad trading decisions. If you find yourself bored while trading, you could break the monotony by stepping away from the charts and giving yourself a break. Visit trading forums, read other traders’ blogs, or clean up your inbox. Giving up on your trading plan completely is not the solution. While boredom can lead to bad forex trading decisions, being surrounded by too much excitement can also be harmful. I’m all about having a comfortable trading environment, but if you find yourself dancing to the latest radio hits, watching the Lakers lose another game, or checking out who broke up with whom on Facebook, then your workspace might not be as conducive to trading as you think. Distractions can lead to a loss of focus. Remember that the market waits for no one and it deserves your complete attention. While you’re busy cheering for Andy Murray in the Australian Open, you might end up missing market signals. Even worse, you could end up with big losses because you were preoccupied by the latest Game of Thrones episode and missed your cue to exit. Luckily, there are ways to limit distraction. For example, you can restrict the websites that you visit during your trading hours, or inform your friends and family not to disturb you while you’re trading. I have discussed other tips in detail in my article on 4 Tips to Limit Distractions While Trading. You win trade after trade after trade, and soon you feel like Midas – everything you touch turns to gold! But unfortunately, you get drunk on your success, and before you know it, you’ve ditched your trading plan entirely. You start getting sloppy, make bad trading decisions, and your trading performance takes a nosedive. It’s not uncommon to feel confident after a streak of wins, but it becomes dangerous when you become overconfident. Being overconfident may cloud your judgment and lead you to do things you normally wouldn’t, things that go against your trading plan. It could make you take invalid trade setups, risk bigger positions, or leave a losing trade open longer. Likewise, a lack of confidence as a result of a string of losses can lead you to abandon your plan as well. Being haunted by the fear of defeat can make it more difficult for you to “pull the trigger” even when you see a valid setup. The trick to avoid being carried away by a streak of wins or being bogged down by a string of losses is to always remember to take things one trade at a time. If you devote all your attention to the trade at hand, it makes it easier to clear your head of past successes and failures. It isn’t hard to lose your concentration when you’re physically and/or mentally exhausted. Have you ever tried studying for a test after a hard night of partying? College students know what I’m talking about – it’s a recipe for disaster! When you’re fatigued, you’re not as sharp as you normally are. Often, this leads to slower reaction times, and your mind may not process things as thoroughly. These, in turn, can lead you to deviate from your trading plan and make bad trading decisions. The solution to fatigue is simple. Take a break and get some rest. You won’t do your account any harm by stepping away, but you CAN do damage by trading when you’re not 100%.